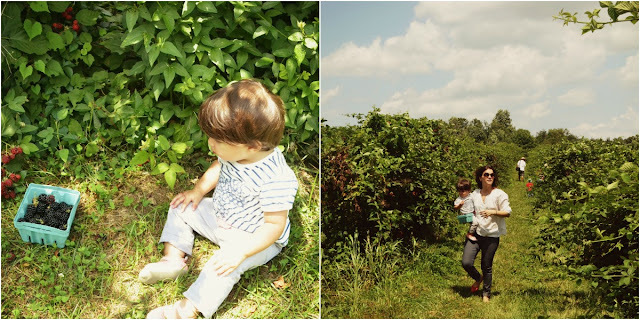 About two weekends ago we drove up to Germantown in Maryland to visit Butler's Orchard and we were delighted! The drive is about 40 minutes from the district and if had kept going north for 45 minutes more, we would have arrived at Gettysburg. We are dying to visit some historic towns, and Gettysburg is on our list for the next road trip. The Orchard produces yearly harvests of seasonal favorites. We were there to pick our own blackberries, which ashamed as I am to admit, I had never seen this fruit on the tree. It was a first for Emilu and I. 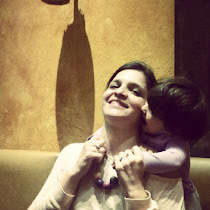 And we loved it. 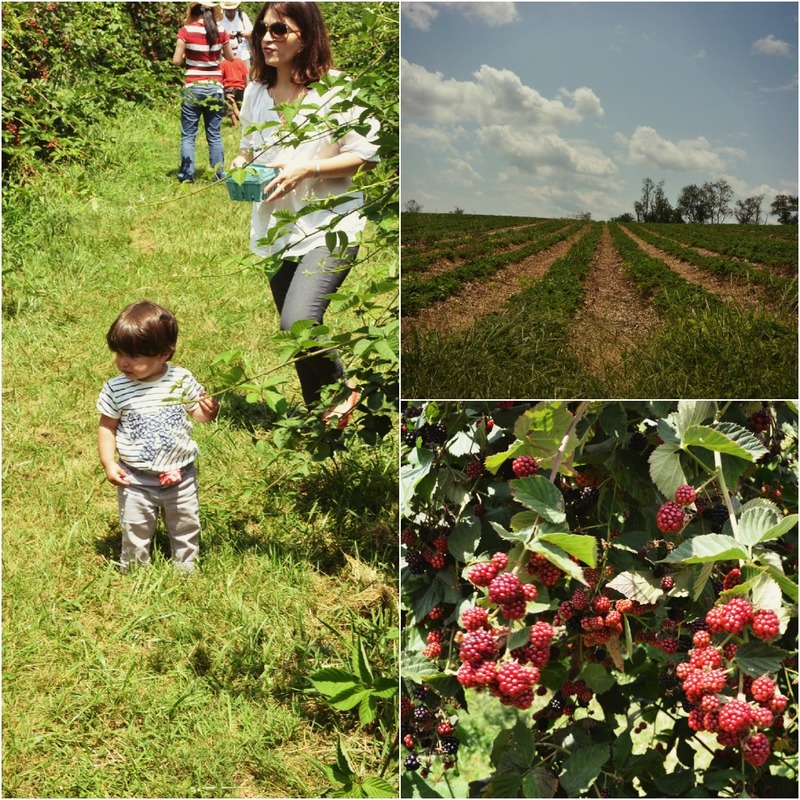 Glorious roads of blackberry fields that seem to never end. And I loved that it was all so green and cheap! A small quart in the supermarket is almost always around four or five dollars. We got a pint for less than three dollars! Much better than farmer's markets. Next time we go, we will pick apples and raspberries. Oh we can't wait! 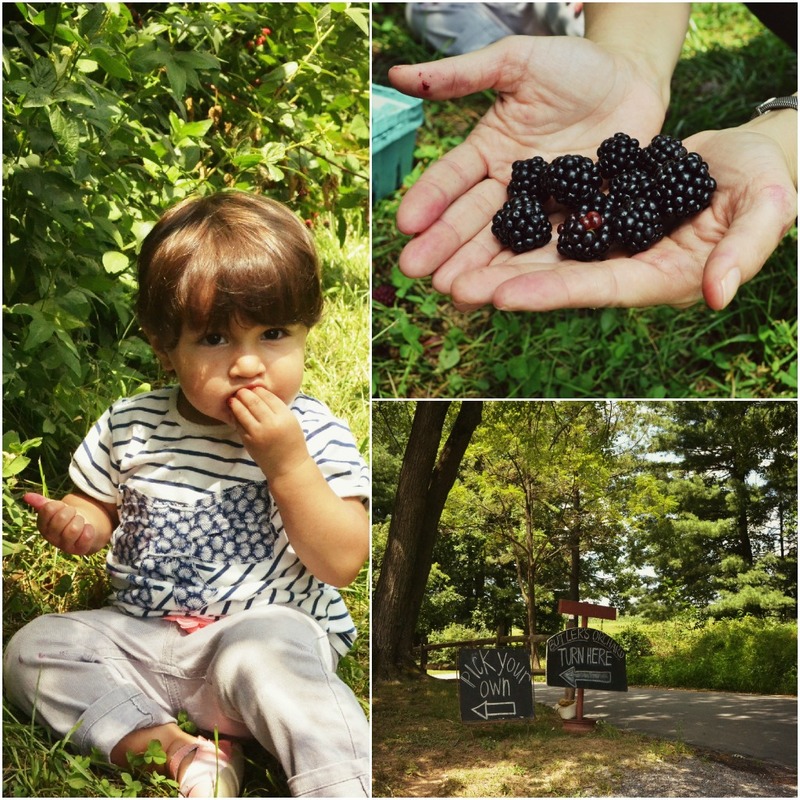 What a wonderful outing, and look at those plump blackberries! Yum.